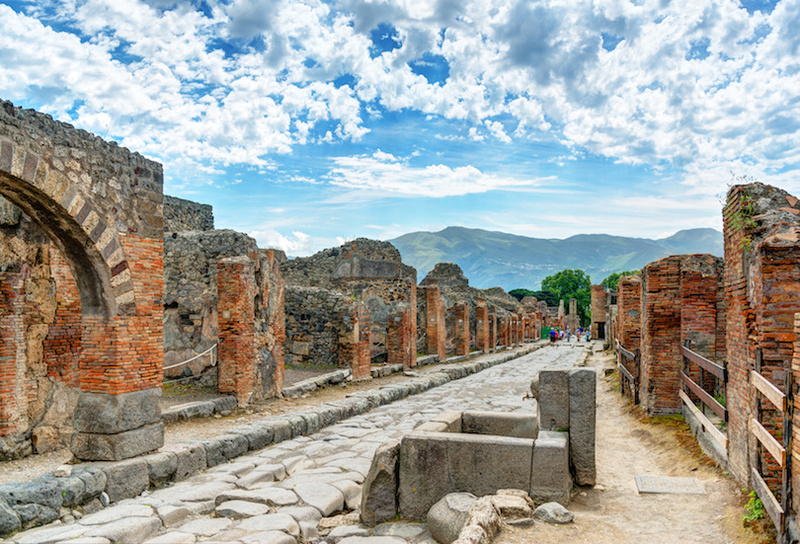 This amazing tour will take you back in time to 79 AD when Mount Vesuvius, erupted and buried the then-thriving Roman town of Pompeii under 13 to 20 feet of ash and pumice stone. At the time of the eruption, the city of Pompeii was home to approximately 10,000 to 20,000 citizens. Fortunately, most were able to escape. But approximately 2,000 of Pompeii’s citizens were entombed in the volcanic ash. For years, the city was lost to the world, but then in 1748, explorers excavated the site and discovered that under the ash lay an eerily preserved Pompeii. Today, a visit to the ruins of Pompeii is a fascinating look back in time to the year that this city was buried. On this tour, you will walk the streets with a guide, who will give you an excellent understanding of what life was like in Pompeii before the tragic eruption and you’ll also get to see the type of dwellings that existed at the time. Some of the buildings you will see include shops, homes — both modest and mansions — and even brothels. You will also get to see the Teatro Grande, a forum that could seat 5,000 people and that still boasts amazing acoustical effects. 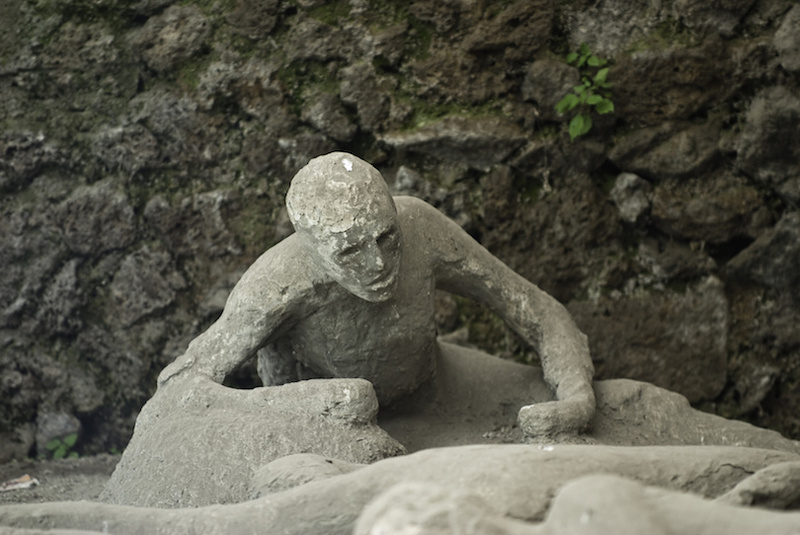 In addition, you will also see a number of plaster casts made of the bodies of those who died during the eruption. When archaeologists excavated the area, they discovered spaces where Pompeii citizens and their animals had fallen. By filling these cavities with plaster, they were able to create chilling statues of the fallen humans and creatures. 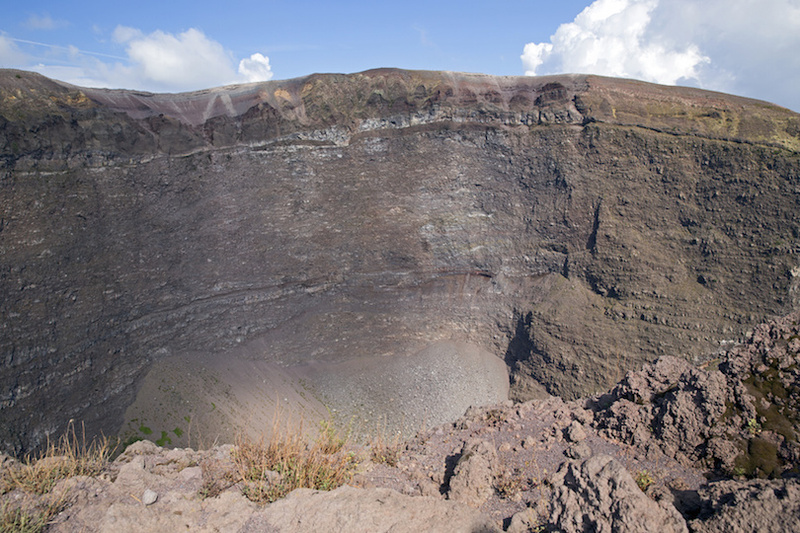 Your tour to Pompeii will also include a walk to the summit of Mt. Vesuvius, where you can get a look at the caldera and also enjoy stunning views of the Bay of Naples. Note, that in winter this hike is replaced with a walking tour of the National Archaeological Museum of Pompeii. 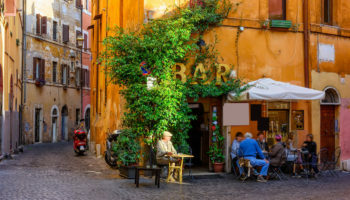 Because it’s likely that you’ll have worked up a hearty appetite from all of this activity, your tour also includes a stop to enjoy a Naples classic, the Neapolitan pizza. During this all-day guided tour from Florence, you will get to see and enjoy some of the region’s finest sites and attractions, including the beautiful medieval city of Siena, which sprawls across three hills. 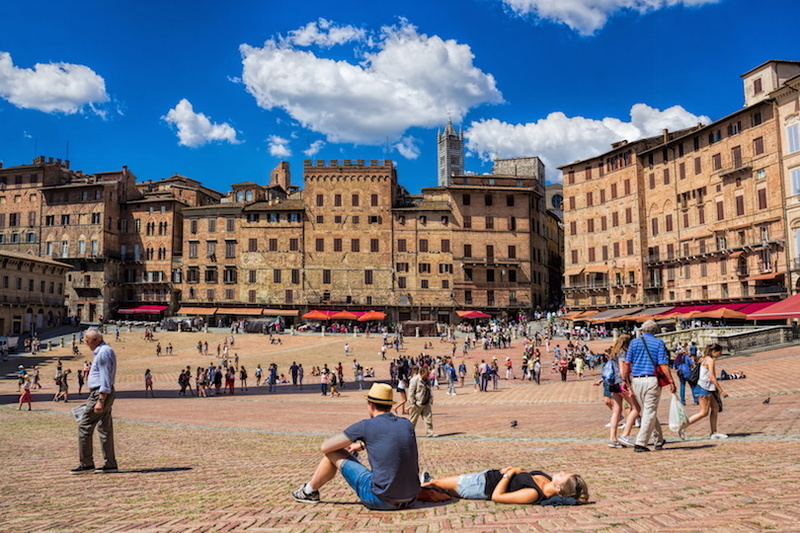 Siena is truly a must-see city that boasts handsome Gothic buildings and a magnificent cathedral, the Duomo which sits above the famous Piazza del Campo. Your tour includes entry to this church, which is home to amazing artwork, including frescoes by Pinturicchio. The cathedral’s Piccolomini Altarpiece also boasts four sculptures that were completed by a young Michelangelo. One of these statues, St. Paul, is believed to be Michelangelo’s earliest self portrait. 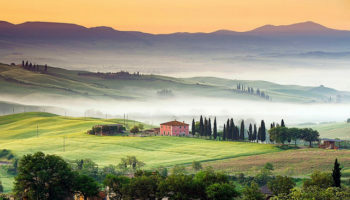 The next stop of your tour will take you to the Chianti Hills where you can enjoy a wine tasting and a delicious Tuscan lunch at an organic wine estate. 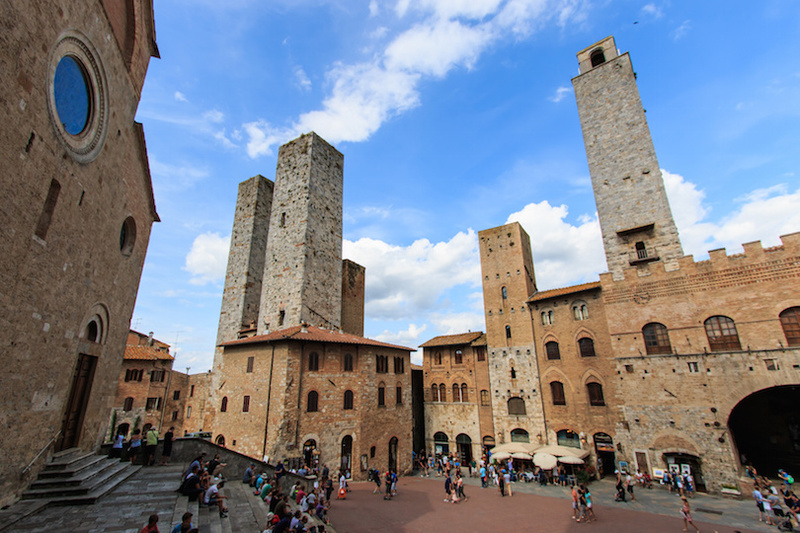 After your appetite has been sated, you will next visit lovely San Gimignano, a small walled medieval town, where you can find approximately a dozen tower houses. During medieval times, these tower houses were the homes of the very wealthy. 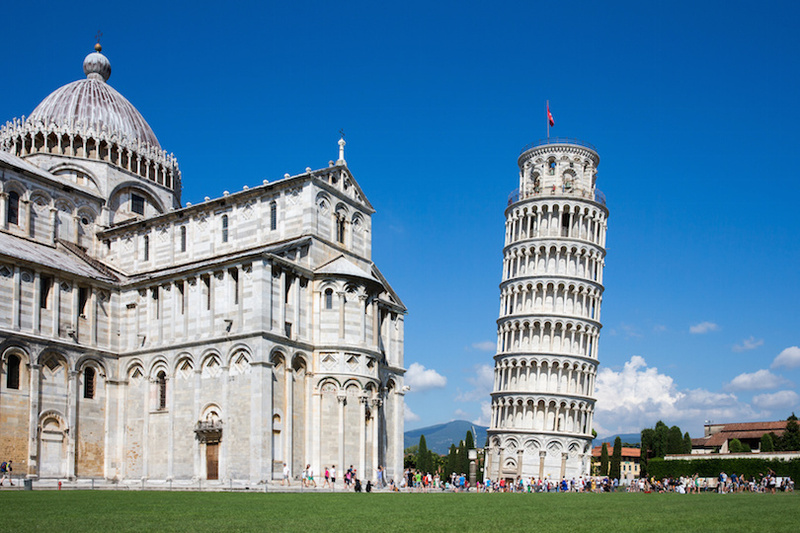 The last stop on this tour will be the town of Pisa, where you can check out the famous Leaning Tower. If you prefer, you can upgrade to a skip-the-line entry for the Leaning Tower of Pisa. You’ll also be given plenty of leisure time to explore this city and its Romanesque buildings and lovely piazzas. Make sure to set aside some time to visit Pisa’s impressive cathedral before board your bus and head back to Florence. The glories of ancient Rome may not have appealed very much to Tony Bennett, who left his heart in San Francisco. Perhaps Mr. Bennett wasn’t into ancient ruins, chariot races and gladiator battles. 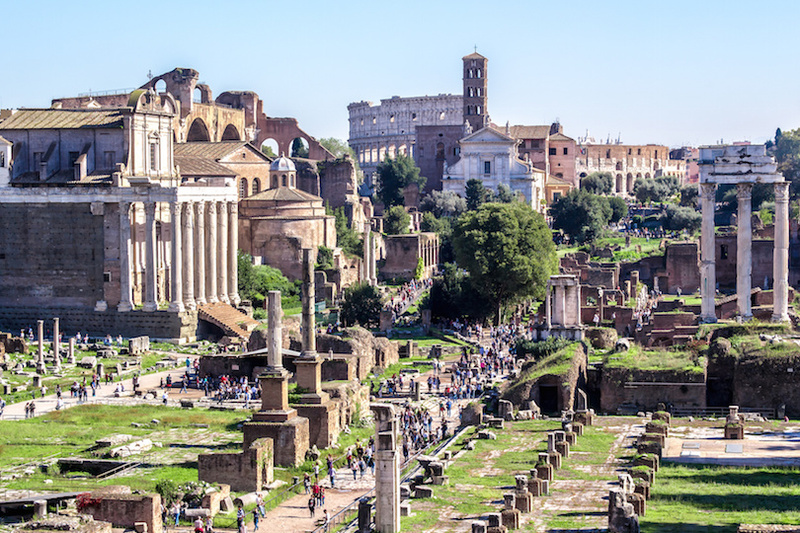 But if you are, then this half-day walking tour of ancient Rome may very well be the highlight of your visit to the Eternal City. It’s a great way for first-time visitors to kick off their visit to the capital of Italy. Special tickets allow you to slip the lines of tourists waiting to visit the ruins. This tour starts at Oppian Hill, one of the Seven Hills of Rome. The views of the Colosseum are stunning from this point. 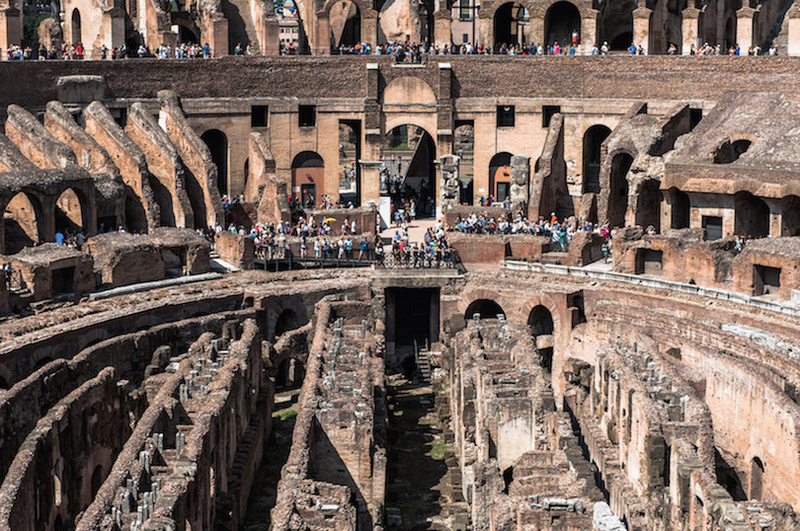 From here, you’ll walk down to the Colosseum where you’ll explore the first and second levels; you can upgrade for a tour of the third tier, the arena floor and underground chambers. The Colosseum is the largest amphitheater ever built. Construction on this oval concrete and sand structure took place in the first century. Built to hold up to 80,000 spectators, it was THE entertainment center of the day. Imagine, if you will, the gory gladiator battles, executions, animal hunts, mock sea battles and speeches that took place here. The Roman Forum is just a short walk away. It served as the political center of Rome. You’ll see the remains of the House of the Vestal Virgins and the Temple of Julius Caesar. The tour ends with a walk up Palatine Hill for another perspective of the ruins below. You’ll also see the Circus Maximus, the race track for charioteers. This guided tour offers a good introduction to the romantic city of Venice as you’ll hit the highlights on a walking tour and then finish with a canal boat ride.You’ll be walking the streets of Venice for two hours, so comfortable walking shoes are a must. The first stop is the city’s main square, St. Mark’s Square, known locally as la Piazza. St. Mark’s Basilica dominates the eastern end of the square, which Napoleon reportedly called “the drawing room of Europe.” The cathedral is the most famous church in Venice. 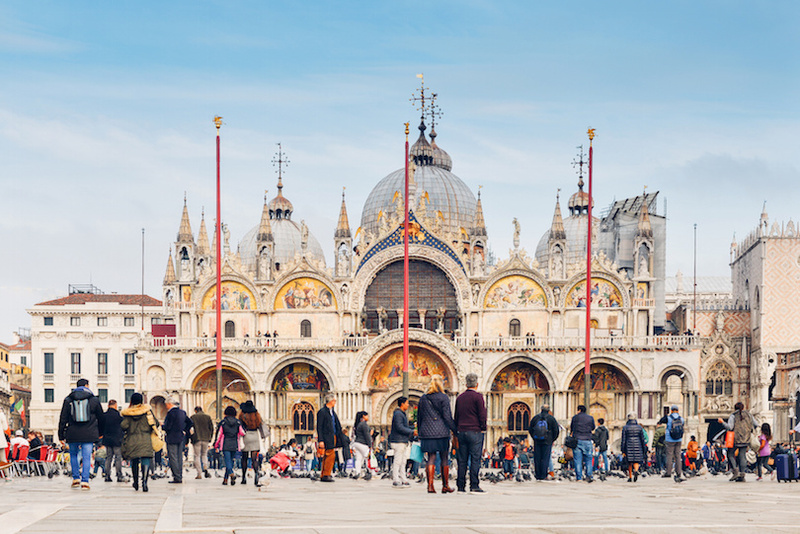 It’s also known as the Church of Gold because it’s been a symbol of Venetian wealth since the 11th century. Also contributing to this name are the gold mosaics that cover the church’s upper levels. The mosaics are a key reason why people flock to the cathedral. Lines to get in are long, but you’ll have a skip-the-line pass so you can walk right in. The cathedral is connected to the Doge’s Palace; you’ll learn the history of their prisons. From St. Mark’s, you’ll walk to the Ospedale Civile, which originally was a school teaching wannabe entrepreneurs about Venetian trade. Today it is a museum and hospital. 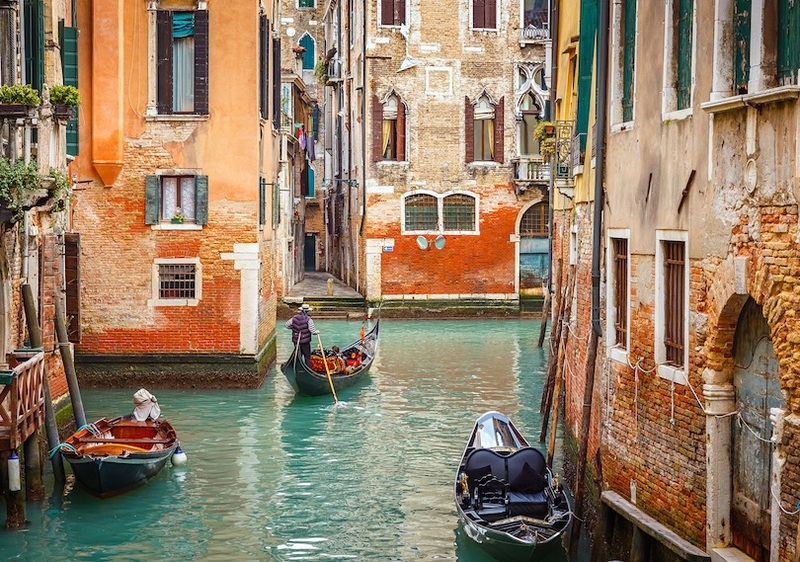 Next you’ll spend time walking the picturesque backstreets of Venice, going now narrow passages, seeing Marco Polo’s house, palaces and bridges that cross the canal. The guided tour portion ends at Venice’s famous Rialto Bridge. 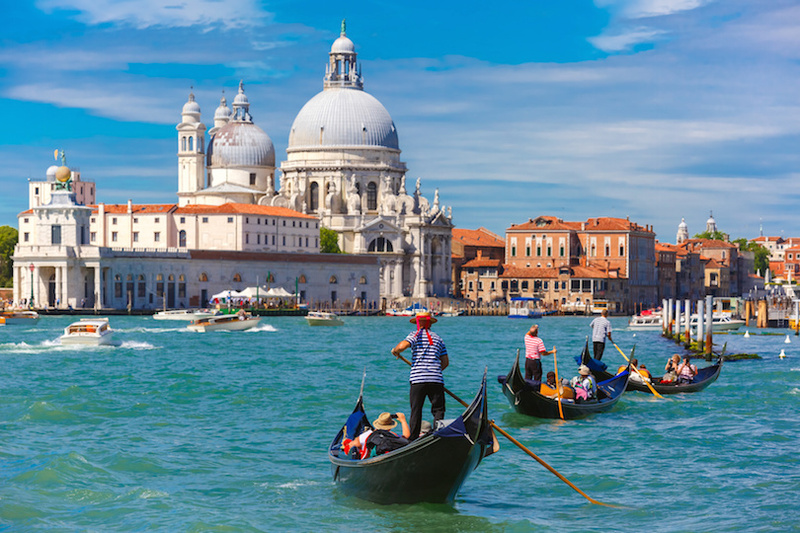 You’ll have some free time to explore the shops before boarding a water taxi to cruise the Grand Canal. The canal, just over two miles long, is one of the main water highways in Venice. 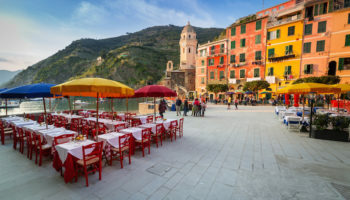 this tour, you will visit the five charming fishing villages — Monterosso, Vernazza, Corniglia, Manarola and Riomaggiore — that lie on the rugged Italian Riviera coastline, and you’ll also get to see for yourself the brightly colored houses that this region is famous for. 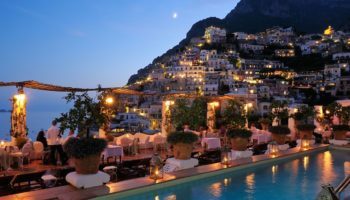 In fact, this area has become so popular that Italy has decided to limit the number of travelers who can visit this picturesque area. 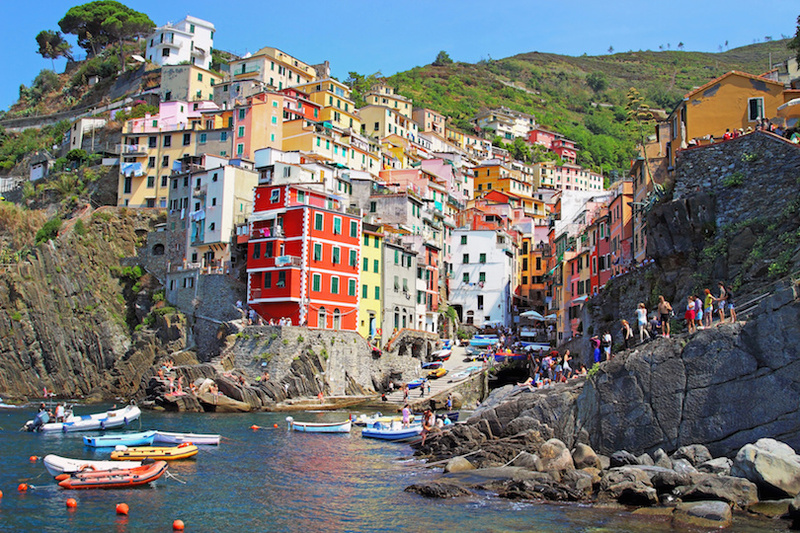 Italy has also declared the entire Cinque Terre, including its five main villages as a park. Your coach leaves from Florence for the approximately two-hour ride out to Cinque Terre. Along the way, your guide will talk to you about the city of Lucca and its most famous resident Puccini, as well as about the Cinque Terre. Your coach will stop in the hills above Manarola so that your guide can lead you to the start of your approximately 5.5-km (3.4-mile) hike. The area has been left as natural as possible, so there are no safety rails and the trail treads close to the edge of the cliffs in some areas. Before reaching your first stop, Corniglia, you will have a steep 382-step climb. But this charming village, with its spectacular views, is well worth the effort. Your next stop will be the town of Vernazza, where you can opt to take a refreshing dip in the clear blue Mediterranean if you so desire. Next stop? Monterosso, which you will reach by train. In this little town, you’ll enjoy some free time to explore or to grab a bite to eat. Your amazing trip through the Cinque Terre will then continue on to Riomaggiore, which you will reach either by boat or train, depending on the weather. After a final hike back to Manarola, you will then board your coach for the return back to Florence. 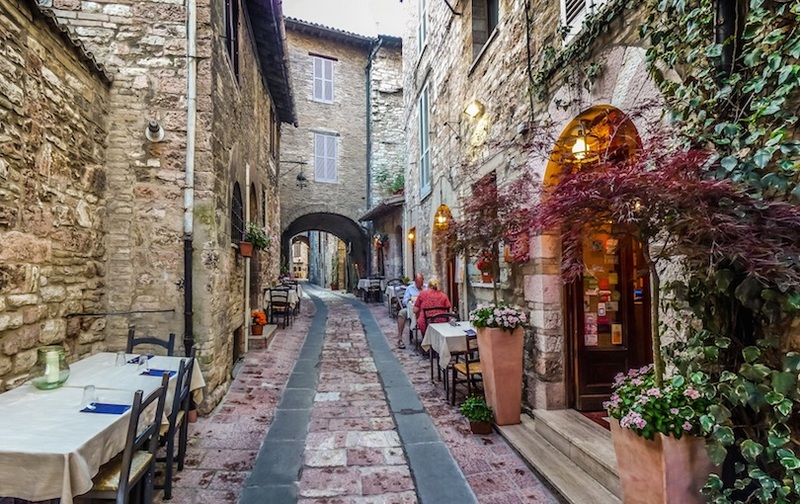 A day trip to Assisi and Orvieto is a wonderful way to explore the “real” Italy. Assisi and Orvieto are both medieval towns located in Umbria. You will arrive at the first stop of this tour, Orvieto, after a short one-and-half-hour drive through the picturesque Umbria region. 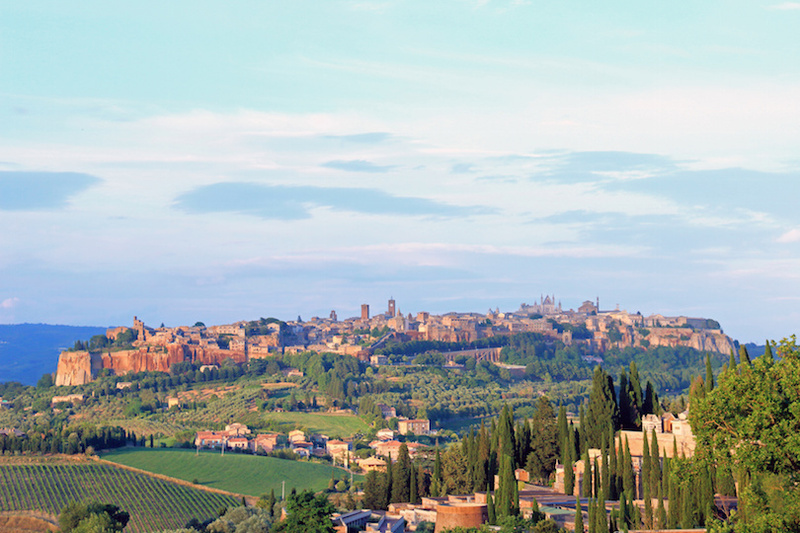 Orvieto is a magnificent sight, perched high above the valley floor at the top of a butte. During your visit to this historic town, you’ll want to make sure to check out its very colorful cathedral, which boasts a Gothic facade, stained glass windows and stunning frescoes of the Day of Judgment and Life and Death. Orvieto also sits atop an elaborate labyrinth of caves and tunnels. Your next stop on this tour will be for lunch at Lake Trasimeno. 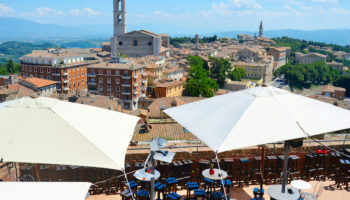 After this short break, you’ll next head to the town of Assisi, which is best known as the birthplace of St. Francis, who founded the Franciscan religious order. While walking through Assisi, you will discover many interesting sites that are related to St. Francis’s life, including the places where he is believed to have been born, raised and where he dedicated himself to the church. Architecture and history buffs will also enjoy a visit to this charming town as it is filled with Roman ruins, impressive basilicas and castles. 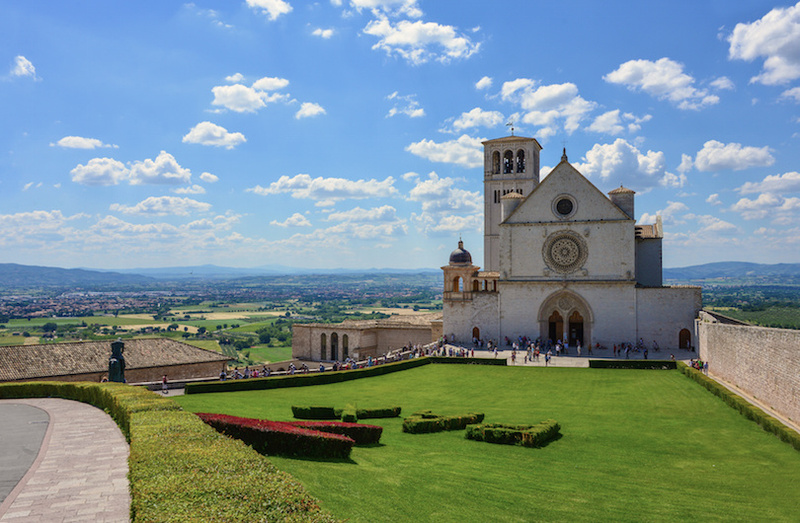 One of the sites that is a must-see in Assisi is the Basilica di Santa Chiara, where the remains of Saint Clare are entombed and where the Crucifix that spoke to St. Francis is housed. Another popular site is the Temple of Minerva, which may actually have been a temple dedicated to Hercules. Once your day is done in Assisi, your coach will head back home, but not before making one final stop in Santa Maria degli Angeli to check out its basilica, which was built between the years 1569 and 1679 and is one of the largest Christian churches in the world. 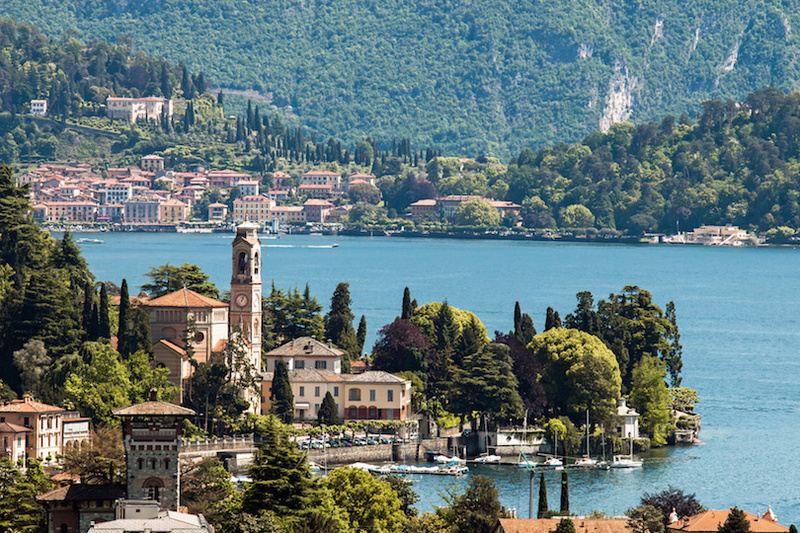 Beautiful Lake Como, which is located in the foothills of the Alps, has developed a reputation for being a playground for the wealthy and famous. Probably its most famous resident today is movie star George Clooney, though it is also home to singer Madonna and designer Donatella Versace. The itinerary for your tour will differ depending on the season. During the winter version, which runs from November to March, your tour begins with a one-hour coach ride from Milan to Lake Como. Upon your arrival into the region’s main town, Como, your guide will share with you information about its attractions and its history. You will then take a funicular to the village of Brunate, which sits in the hills above Como. 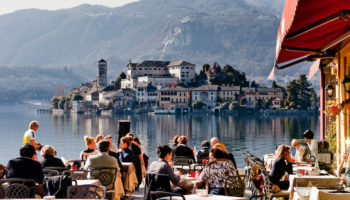 While in Brunate, which is also known as “The Balcony of the Alps,” you’ll enjoy some free time to explore, admire the stunning views or to possibly grab a delicious bite to eat. 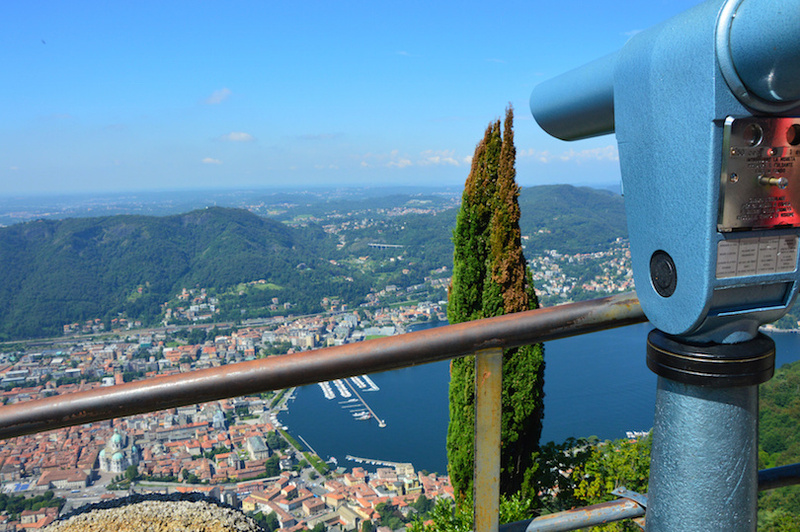 When your time in Brunate ends, you will then take the funicular back down to Como, where you will next board a boat for a tour of beautiful Lake Como. Keep your eyes peeled for the grand houses of the rich and famous and the luxury resorts that dot the shoreline. Your tour concludes with a visit to the Basilica of Saint’Abbondio, which is located outside the city’s wall, as well as some leisure time to explore Como on your own. If your tour occurs during the summer, your itinerary will be slightly different. After your one-hour coach trip from Milan, you’ll be dropped off in Como where your guide will take you to visit the Basilica of Sant’Abbondio and Villa Olmo, a magnificent neoclassical villa that sits on the shores of this beautiful lake. Afterwards, you’ll be given some free time to explore the area at your leisure. 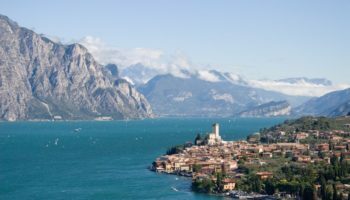 At an appointed time, your tour will continue with a two-hour cruise around beautiful Lake Como, which will give you ample opportunity to look for the gorgeous homes of the rich and famous. 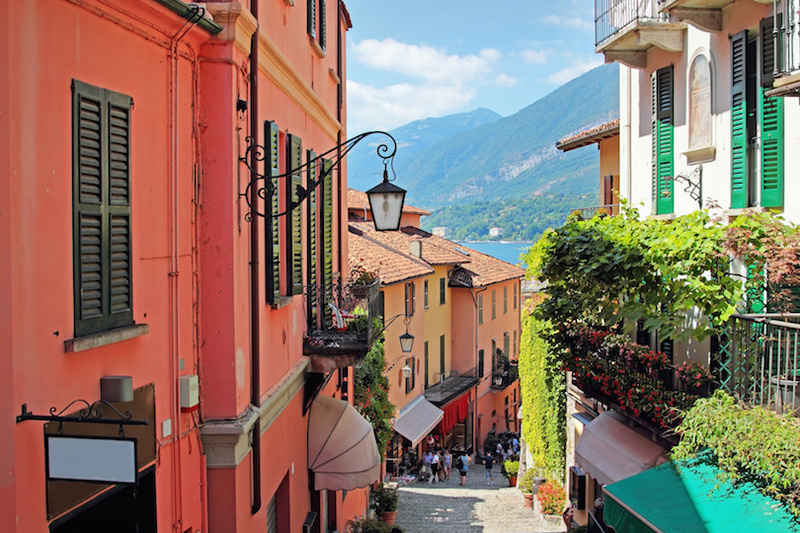 Once ashore, you’ll next head to the historic village of Bellagio, a popular tourist resort. 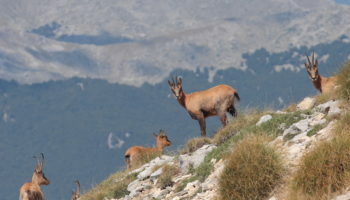 You will then take another cruise to Cadenabbia before finally boarding your coach for your return trip back to Milan. On this seven-hour journey from Rome, you will get to visit the city of Tivoli, which dates back to 1215 BC and is actually an older city than Rome. Located in the Monti Tiburtini Hills on a limestone ridge, this town’s mild climate once made it a popular summer retreat for wealthy Romans. 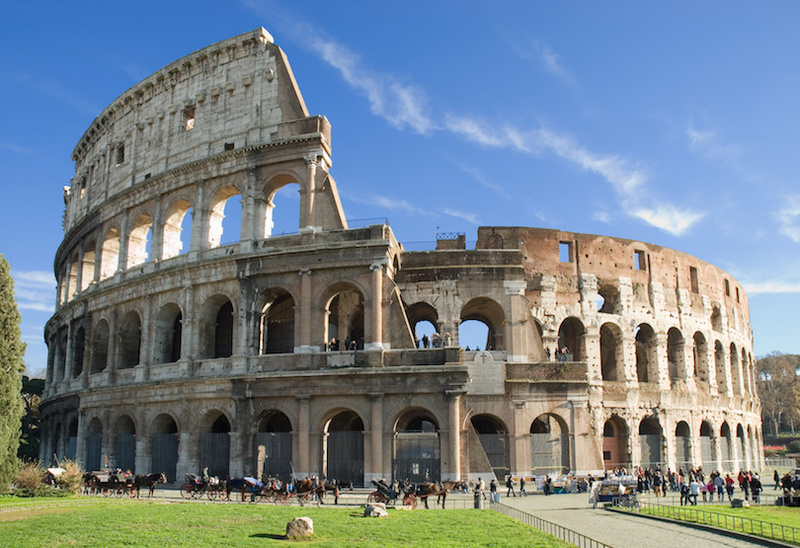 Travel from Rome to Tivoli by air-conditioned coach to start your day trip. 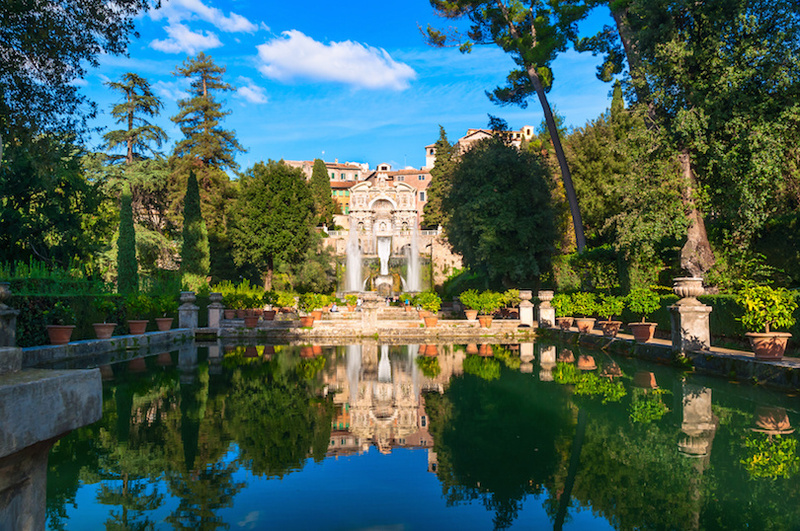 The first stop on this tour is Villa d’Este Gardens, which was originally built for Cardinal Ippolito d’Este, the son of Lucrezia Borgia, a famous 15th-century duchess. 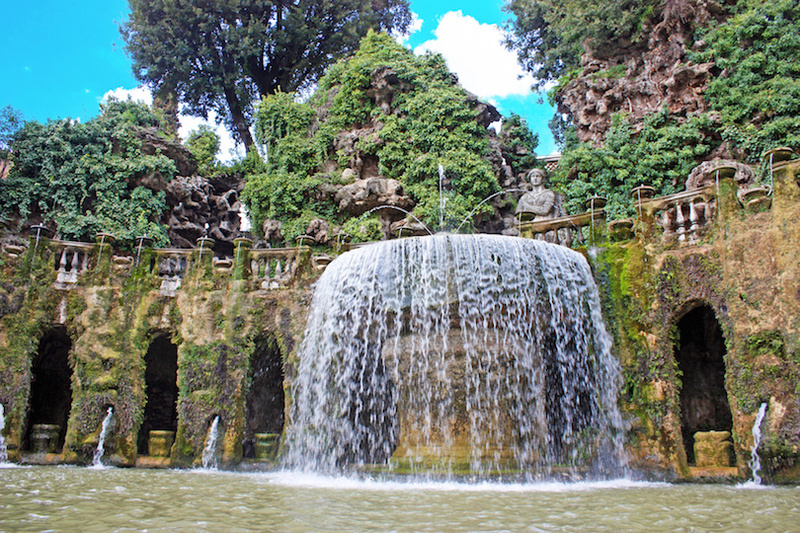 The stunning grounds of the Villa d’Este Gardens, which was built on the former site of a monastery, are dotted with numerous water fountains, statues, pools and grottoes. The fountains are powered by natural water pressure that is the result of the steep slope on which the gardens are installed. Two of the best known fountains are the Fontana dell’Organo, which features a water-powered organ and the impressive Fountain of Neptune, which is the largest fountain in the gardens. The villa itself is also very interesting, especially the frescoes that grace its ceiling. Lunch will be on your own. 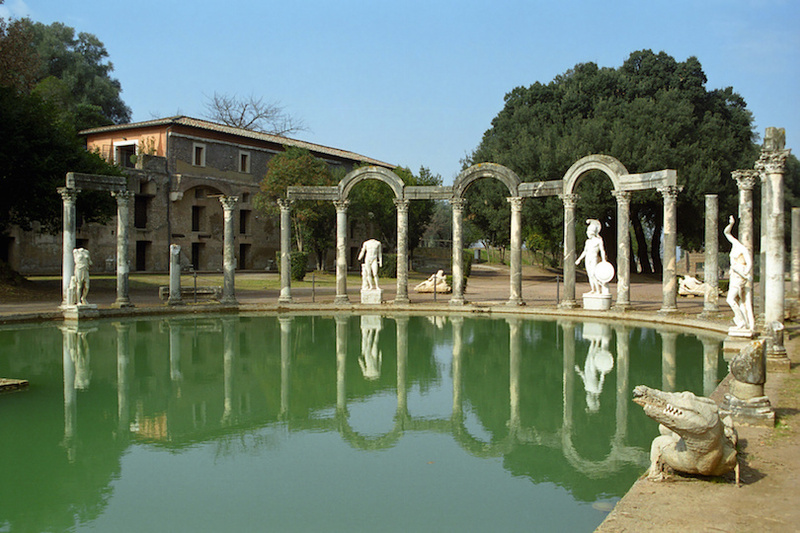 The next stop on your tour are the ruins of the Villa Adriana, also known as Hadrian’s Villa. This is an amazing complex of more than 30 buildings and beautiful gardens built by the 2nd-Century Roman Emperor Hadrian for use as his imperial residence. This is a huge site and many of the buildings are reproductions of famous structures that the emperor had seen during his travels of Greece and Egypt. He also had numerous famous Greek sculptures reproduced and placed in his complex. Interestingly enough, some of the original statues have been lost, but the reproductions remain. On your tour of these ruins, you will also discover thermal baths, temples and even subterranean tunnels. One of Villa Adriana’s most impressive features is its Maritime Theater, which consists of a pool with an island in the middle. This was Hadrian’s private studio where the emperor spent time engaging in two of his favorite hobbies, painting and architecture. Murano is a series of islands that is famous throughout the world for its unique and beautiful glass creations. And while the island of Burano may not be as well known, this island produces some of the world’s finest lace. 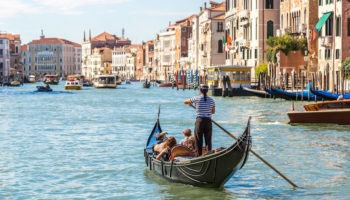 So if you are staying in Venice, you’ll definitely want to book this enjoyable day trip to these islands, which lay just across the Venetian Lagoon from Venice. You’ll start your trip to Murano and Burano by meeting up with your tour guide at a central point in Venice. Then you’ll hop aboard a boat for the short ride to Murano, which became the de facto capital for glassblowing when the Venetian Republic forced the glassmakers to move to Murano in 1291. Some believe the move was made because the foundries were considered a dangerous fire hazard for the mostly wooden buildings in heavily populated Venice. Others believe that the glassblowers were forced to move to Murano to make it harder for foreigners to learn their trade secrets. 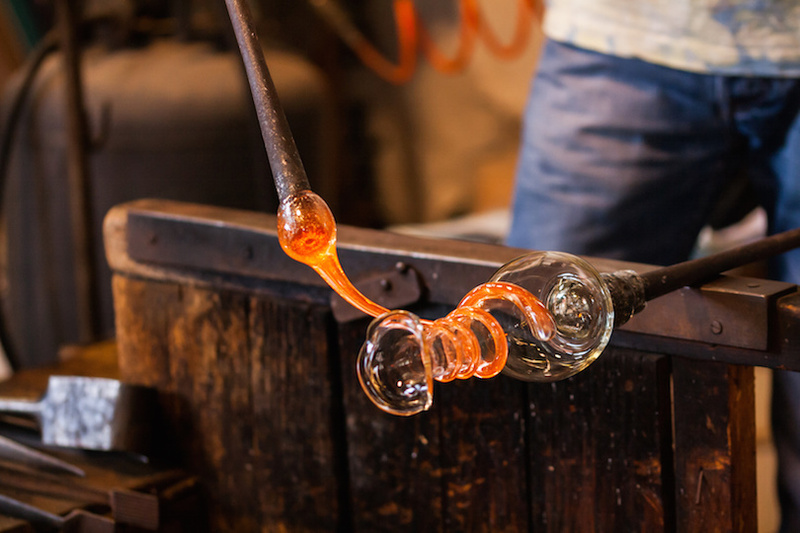 Your tour includes a visit to a glassblowing workshop where you can watch talented artisans create the famous brightly colored pieces that Murano is famous for. Afterwards, you can shop for a glass piece to take home as a souvenir. Even if you decide not to purchase any of the iconic glass creations while in Murano, you’re sure to enjoy spending time checking out its shops and strolling its walkways, which tend to be much less crowded than those in Venice. 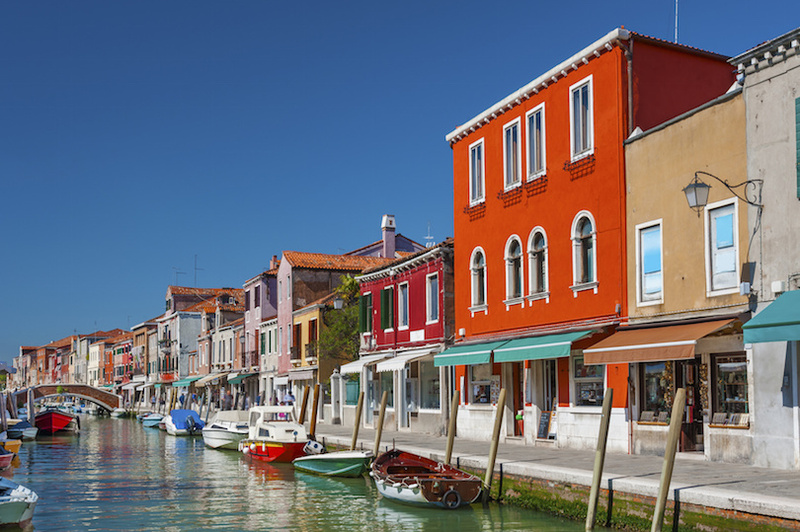 From Murano, you will take a short boat ride to Burano where you’ll get the opportunity to watch local craftswomen at work on the beautiful lace pieces that this island has been known for since the 1500s. 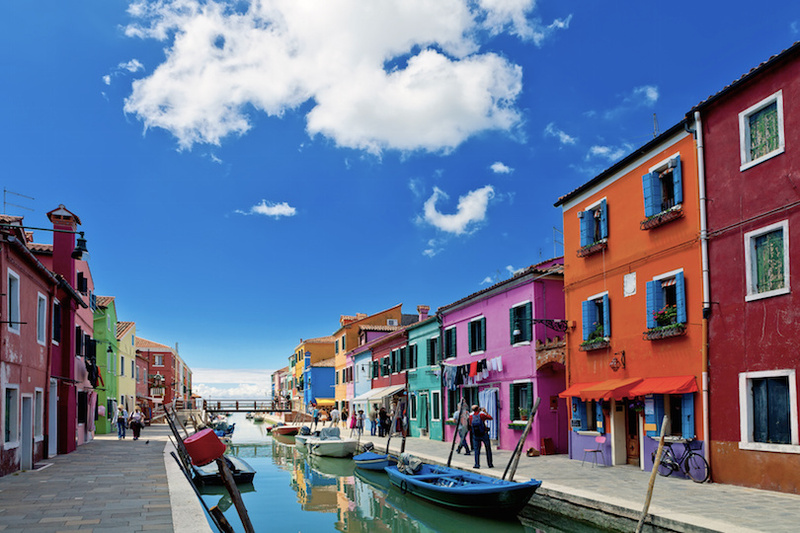 You’ll also enjoy some free time on Burano to check out the local shops, multi-colored houses or to visit the Burano Lace Museum. 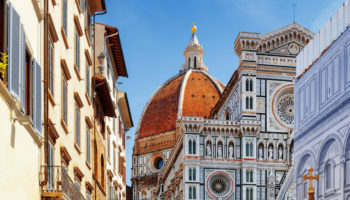 This tour explores the Tuscan capital of Florence, considered to be the birthplace of the Renaissance. During medieval times, this city was a center of medieval trade and one of the wealthiest cities at this time. This tour gives you an introduction into the art and architecture that make Florence one of the most visited cities in the world. This tour combines two half-day guided tours into one. 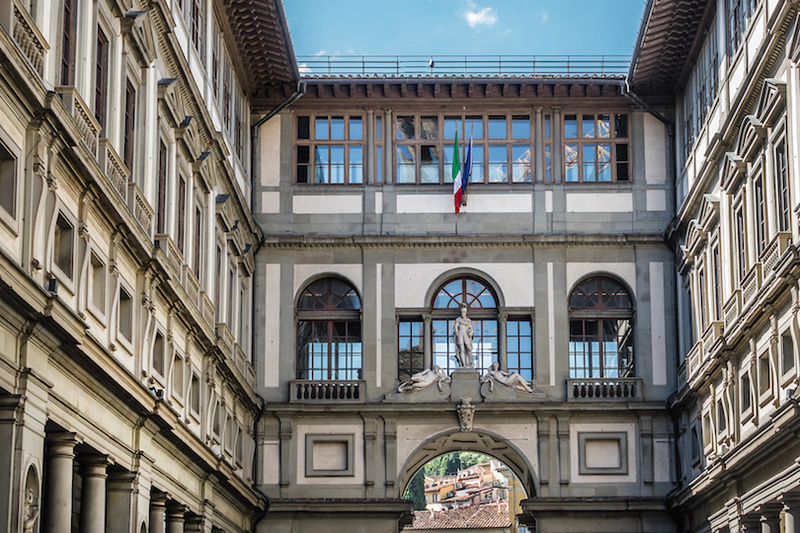 Since Florence attracts so many visitors, you’ll have skip-the-line passes to gain quick access to some of the greatest art in the world. This tour involves a lot of walking, so be sure to wear comfortable shoes. The first stop will be the Accademia Gallery where among other priceless art, you’ll see David, one of Michelangelo’s masterpieces created when he was in his 20s. Next you’ll walk the city’s historic streets to see its monuments, crossing the Pointe Vecchio Bridge over the Arno River. 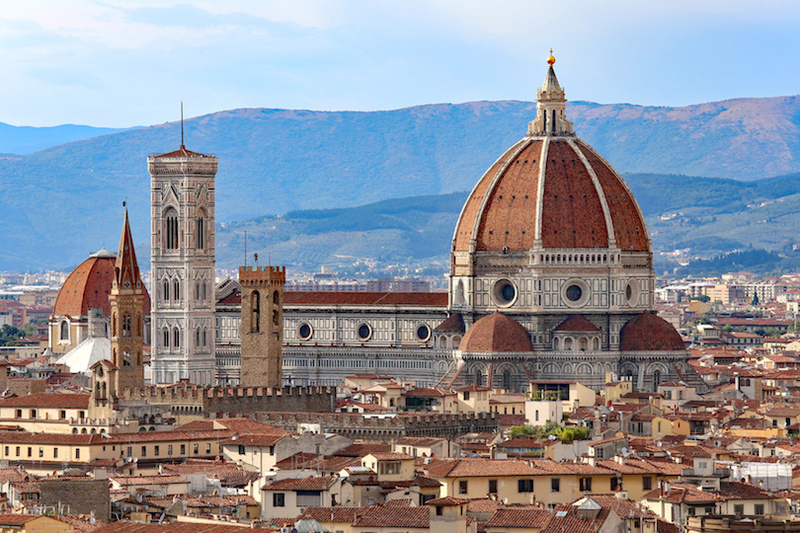 You’ll visit the colorful Duomo, Florence’s most famous church that is considered an architectural gem. Skip the line and tour the incredible Cathedral, learning about the history and design from your guide. The morning tour ends with two hours of free time where you can browse shops and enjoy a typical Florentine meal at a trattoria. After lunch, resume the tour at the Uffizi Gallery, perhaps the most famous gallery in Florence. Their holding of paintings and sculptures is nothing short of mind-boggling, and includes works by the greatest European artists: Michelangelo, Botticelli, Raphael, Leonardo da Vinci, Durer, Titian and Rembrandt. Wow! You’ll visit the rooftop Terrance for stunning views of Florence. The guided portion of the tour ends at the museum, leaving you with two more hours to view is fantastic collections. The arts, from painting to music to high fashion, dominate this half-day tour of Milan, one of Italy’s greatest cities. 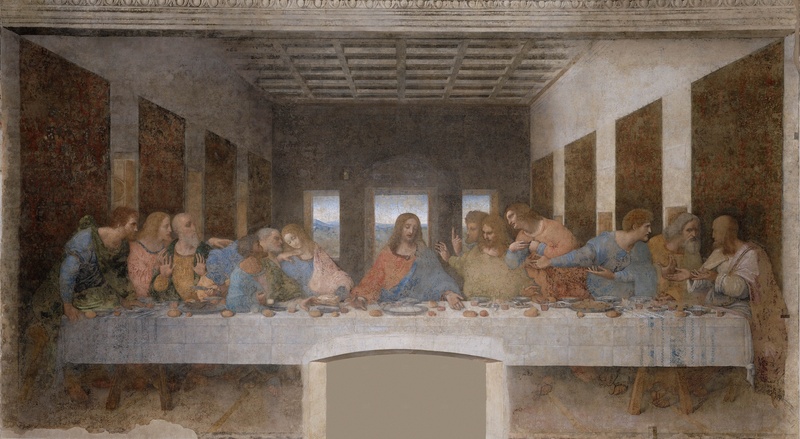 The tour kicks off with a visit to the 15th century Convent of Santa Maria delle Grazie, home of one of the world’s most famous painting, Last Supper by Leonardo da Vinci. The mural, which depicts Jesus’ last meal with his disciples, is one of the most admired and most visited paintings in the world. Because so many people want to see it, tours are limited to 15 minutes. This is not a lot of time to admire da Vinci’s greatest masterpiece, but 15 minutes is better than no minutes at all. Following art appreciation, you’ll stroll through Milan, learning about its history and how it came to be a megastar in the fashion world. 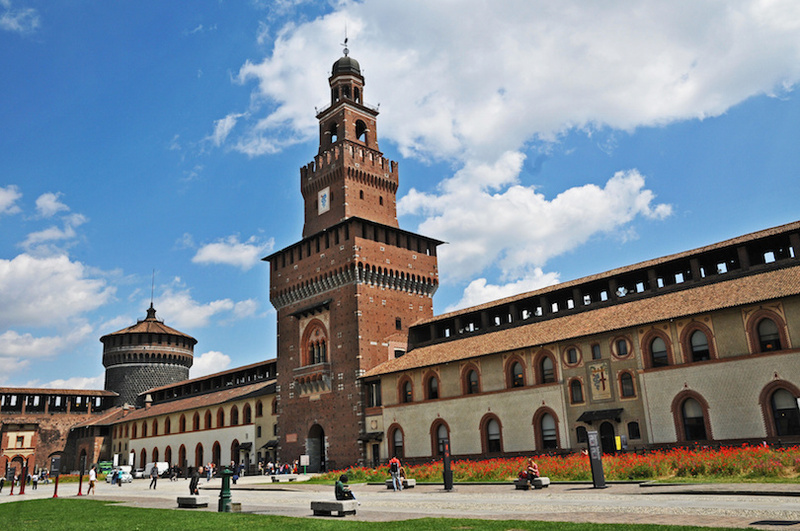 Stop at the 15th century Castello Sforzesco or Sforza Castle, during its heyday one of the largest citadels in Europe. It is now home to several museums and art collections. You’ll get a chance to explore the public areas of this magnificent structure. Then it’s on to La Scala, undoubtedly he world’s most famous opera. Divas, including Maria Callas, have been singing arias here since 1778. If no show or rehearsal is taking place, you’ll visit the public box where you can see the orchestra pit, imaging the great Toscanini at work. The tour’s final stop is Galleria Vittorio Emanuele arcade where you can window shop at upscale boutiques. 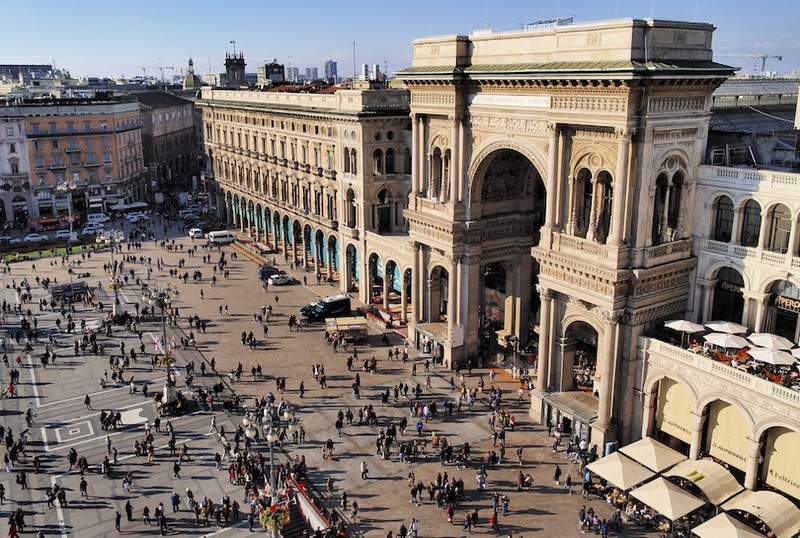 Named after a king of Italy, this is one of the oldest shopping malls in the world. Brightly colored houses perched above the beautiful Mediterranean, charming fishing villages and stunning coastal views have made the Cinque Terre very popular with tourists. 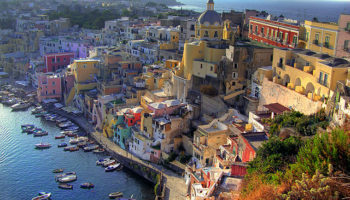 And because this area is so unique, Italy has declared the entire Cinque Terre, including its five small villages — Monterosso al Mare, Vernazza, Corniglia, Manarola and Riomaggioreas — a park. 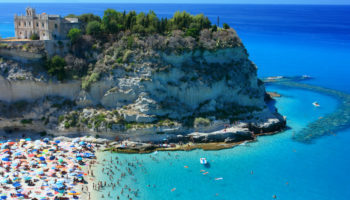 Italy has also recently decided to reduce the number of tourists that can visit this area. Because the area is so scenic, the small towns have attracted as many as 2.5 million tourists a year. In the future, that number will be limited to 1.5 million, so if you are interested in visiting this area, it is imperative that you book this trip early. Your tour begins with an air-conditioned coach ride from Milan to the Gulf of the Powers and the village of Portovenere on the Italian Riviera. During your trip, your guide will share with you interesting facts about the Cinque Terre that will help you to make the most of your journey to two of its charming villages. 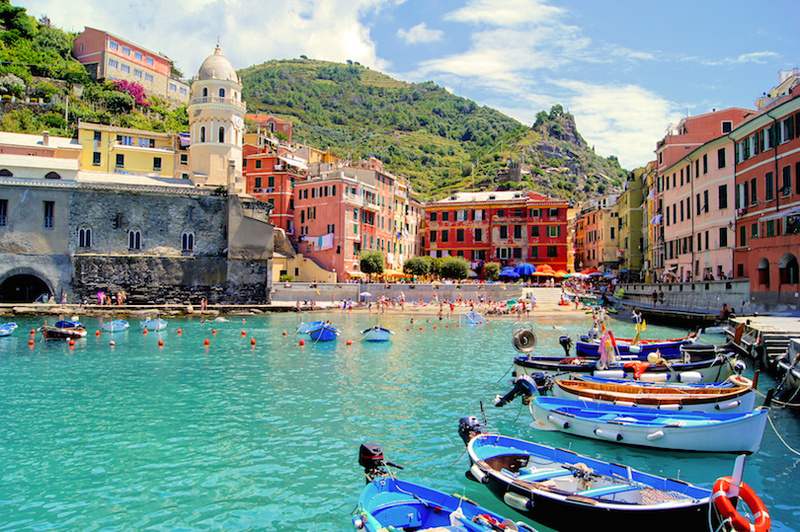 Your main journey begins with a boat ride to Monterosso al Mare, which is the largest of Cinque Terre’s five villages. 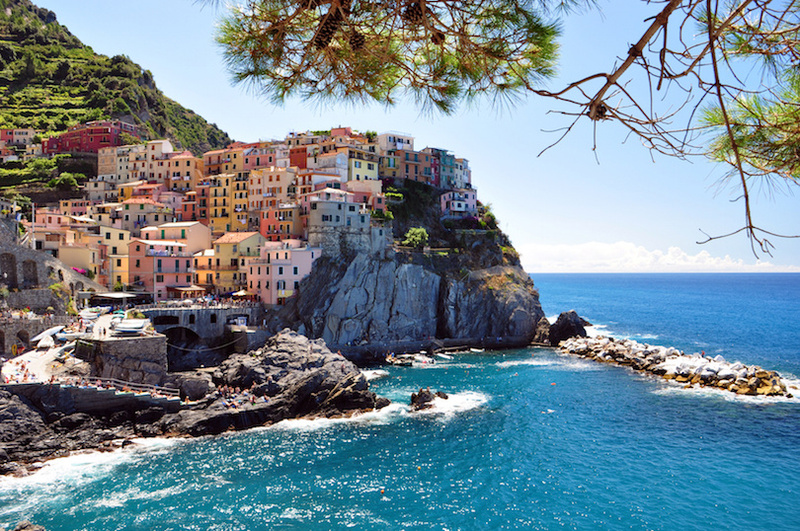 From the sea, you’ll enjoy breathtaking views of the Cinque Terre’s stunning coastline. While in Monterosso al Mare, you will be given free time to explore this captivating village on your own. 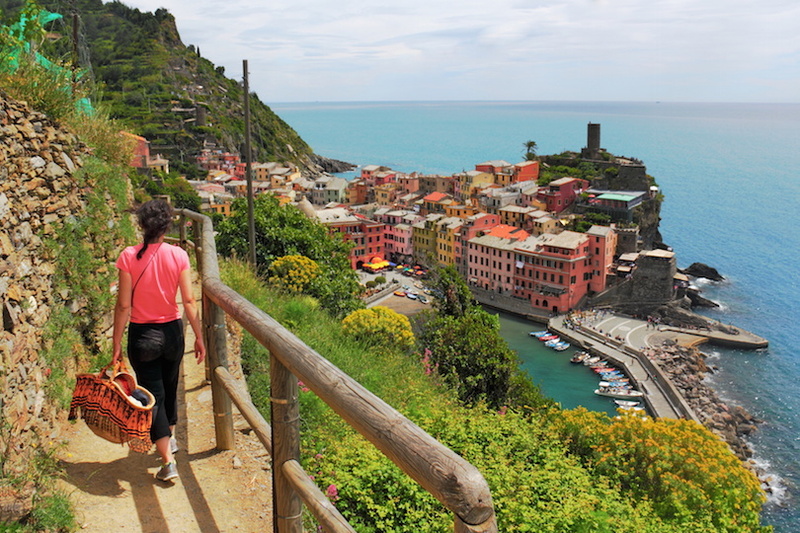 Your guide will then take you by train to the next village, Vernazza, which travel writer Rick Steves has called his favorite. Again, you’ll be given time to explore this lovely village at your leisure. 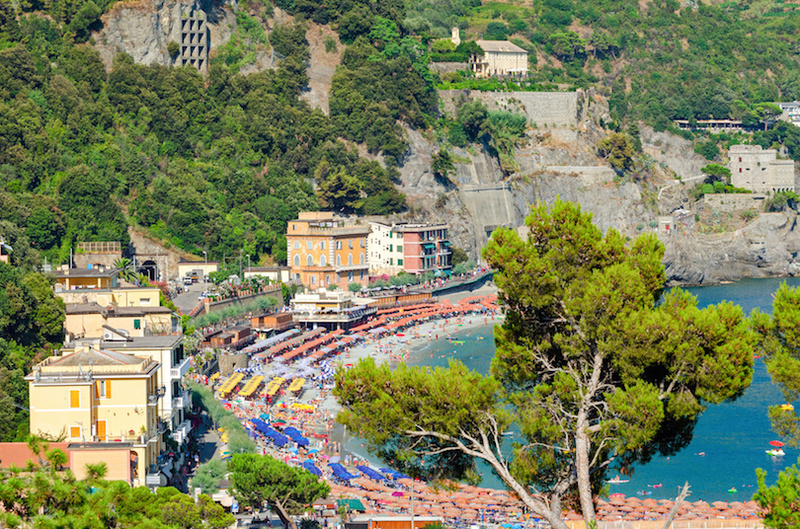 Your journey to the Cinque Terre will conclude with a scenic train ride to the town of La Spezia, where you will find your coach waiting to take you back to Milan.